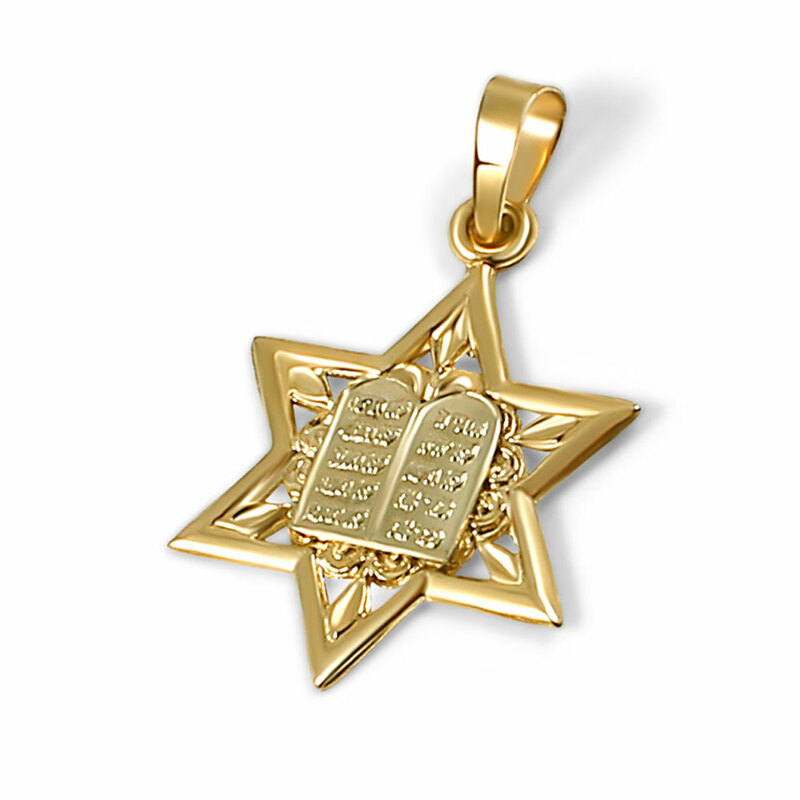 14K gold star of David pendant with a white gold ten Commandments. Beautiful workmanship, made in the USA. Measures 5/8" x 3/4".